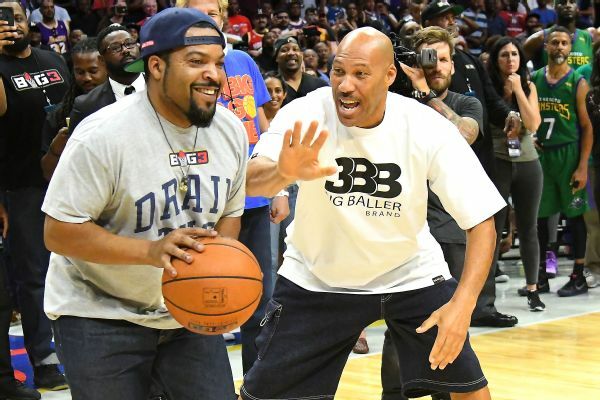 Will this weird, and most recently one-sided, LaVar Ball-Donald Trump rivalry/mutual dislike/soap opera ever end? Now, maybe you’re wondering why on earth Ball would send Trump a pair of ZO2s. After all, don’t the two dislike each other or whatever? TMZ: You got billionaires like Mark Cuban backing you up…Pretty much they’re saying that you’re beating Trump at his own game. LaVar: What game we playing? We ain’t playing no game. Check this out, man: I’m going to send Trump some ZO2s. We just got ’em out, man. We putting them on flight today. Today is the 24th, and I said we shipping out ZO2s. You know what? I gotta ship some to Trump, so he can calm down a little bit. Get him some ZO2s so he can play on the court. Not in the court, but on the court. TMZ: They recently got him golfing. LaVar: They got him golfing? Tell him to come ball at the Big Baller Brand’s estate. Well, there you have it. Say what you will about this feud between president and citizen. Call it whatever you want it. Ignore it, even. Just don’t say LaVar Ball isn’t a man of his word. Now, if you’ll excuse me, I’ll be refreshing Trump’s Twitter feed, waiting for 280-characters’ worth of incoherent jibber-jabber about how his secret service agents set fire to the inbound pair of ZO2s upon arrival.